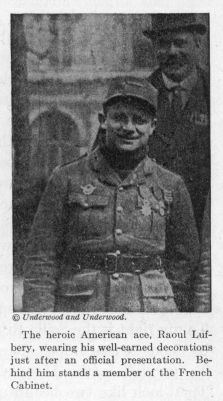 The heroic American ace, Raoul Lufbery, wearing his well-earned decorations just after an official presentation. The heroic American ace, Raoul Lufbery, wearing his well-earned decorations just after an official presentation. .